The garage is usually a messy place – whether you’re a mechanic, a carpenter or just use it as a storage area. Bare concrete floors can become very dusty and hard to clean, and any chemical spills on them, such as car oil or liquid fertiliser, become permanent features. 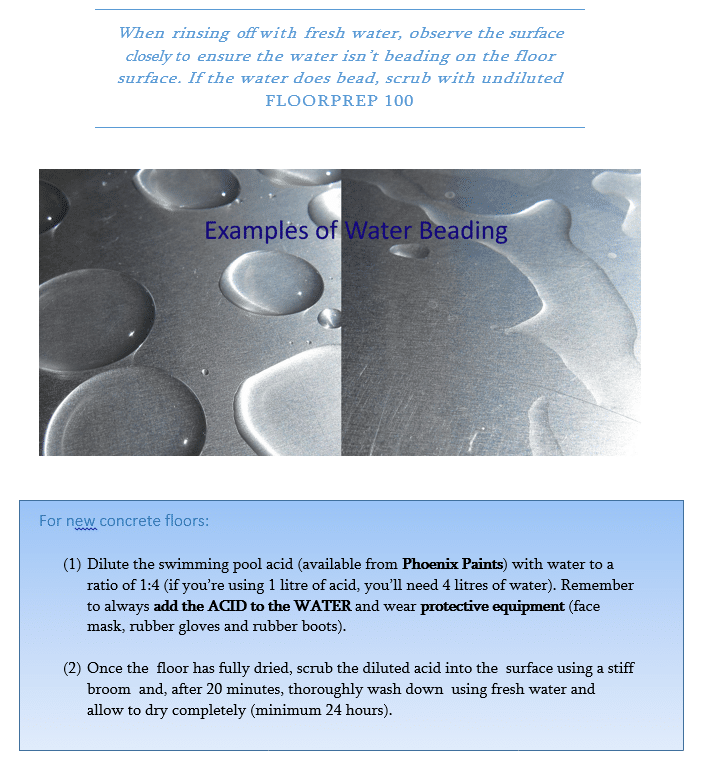 Even water spilled on the floor can increase the chances of your concrete cracking. But don’t despair! 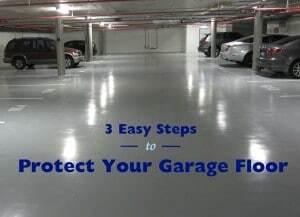 Your garage will look as good as new for years when you use Phoenix Paints’ MAXICOAT which can protect that long-suffering floor from scratches and chemicals. MAXICOAT is a high-performance paint, which means you need to follow three steps to apply it. Don’t worry, we’ll take you through it! Ensure that all grease, oil, dirt and contaminants have been removed by scrubbing the area with undiluted Phoenix Paints’ FLOORPREP then rinsing with fresh water and allow to dry. If there is any existing paint present, abrade the surface with a wire brush or belt sander. Only the top layer needs to be removed. Vacuum the area thoroughly. When mixing the MAXICOAT, first stir the Part “A” (paint component) with a clean stick or paddle, and mix exactly equal volumes of the Part “A” and Part “B” together. Only make up enough each time which can be applied in around 30 minutes. Add a splash of Phoenix Paints’ REDUCER if the mixture appears to be too thick. First, paint around the edge of the floor (by the walls) using a 100mm brush, and allow to dry. Apply 2 coats of MAXICOAT using a 12 to 15mm nap roller. The first coat must be hard enough to walk upon without damaging the surface, before the second coat is applied. Ensure that the MAXICOAT is allowed to fully dry and cure before being exposed to any type of moisture. If left too long a hard coating will set, so wash all brushes and utensils out in water immediately after use. Depending upon the local weather conditions, wait for at least 3 days before driving any vehicles on to the surface. For advice on using Maxicoat, or for any other related enquiries, please contact Phoenix Paints and we will be happy to assist. The application of this product can at times involve risk of injury, property damage, and other dangers. Dangers peculiar to such activities include, but are not limited to, handling acid. Phoenix Paints accepts no liability for any injuries incurred either directly or indirectly from engaging in these activities.